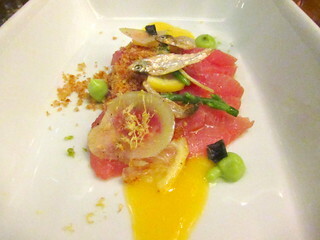 The next course was from LA's very own Chef John Sedlar. 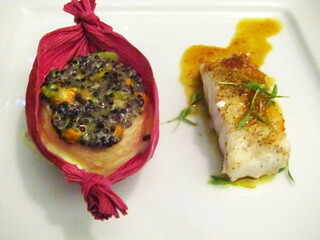 He served his famous Flan de elote with black quinoa alongside a fish with curry sauce. I've had the flan plenty of times but still love it every time. 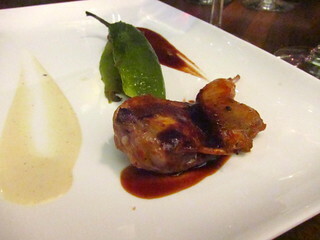 Another course from Chef John Sedlar: local Cornish Hen (Codorniz de Valle de Guadalupe) and a chile relleno stuffed with mushrooms. 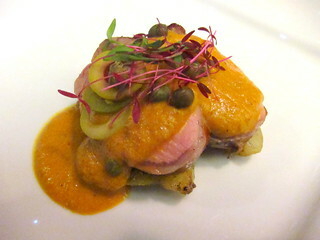 Pork with almond sauce from Chef Pablo Salas (Cerdo Almendrado, Papa cambray, aceitunas) from Chef Pablo Salas. The pork was a bit overcooked but the sauce was great. 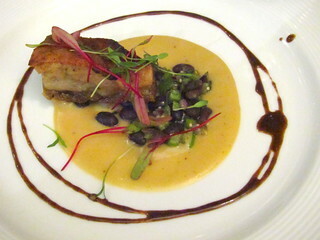 Pork Belly with plantain, orange and vanilla sauce, beans and cocoa reduction from Chef Angel Vazquez. 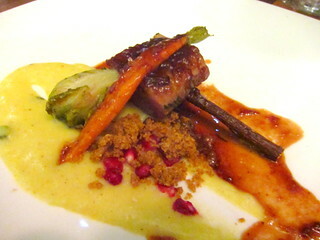 I loved this sweet sauce as well, unusual for a pork belly dish. 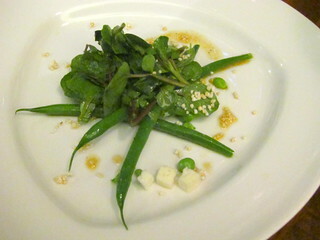 Most of the cheese were mild and firm. 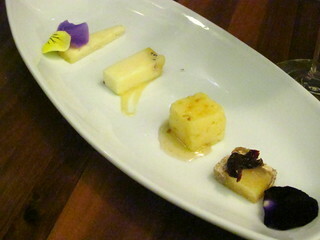 This was my first exposure to Valle de Guadalupe cheeses and I could see that there were much to explore! 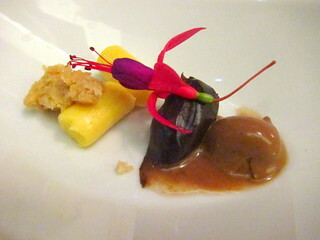 This small dessert was a good finish to our wonderful multi-course meal. 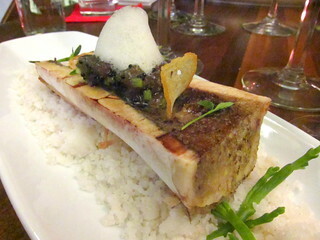 This dinner (and also a similar dinner at Mision 19 this year) was $100. 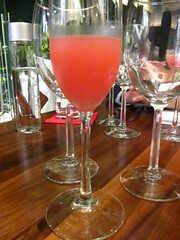 $100 for ten courses, with wine or cocktail pairing? Cheap! These types of dinners will be taking place from Friday to Sunday in Ensenada, Tijuana, Rosarito, etc. You can check the lineup and prices here. 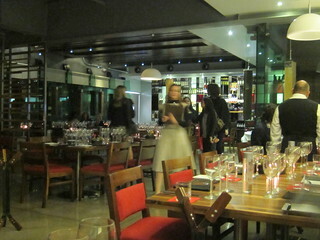 For a more detailed review of this dinner, read The Glutster's post.